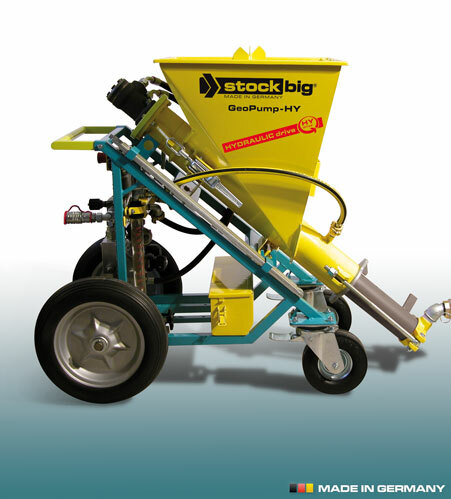 The >stockbig® GeoPump is a lightweight, robust, portable grout pump with hydraulic drive especially developed for use with high solids enhanced grouts. It is suitable for continuous pumping which allows fast and efficient movement of grout to the borehole and minimizes the chance of separation with in the grout. It can be powered entirely from the hydraulics and electric supply (12V, 24V as standard, 48V) on most drilling rigs eliminating the need for additional mains power, generators or diesel engines.